In Rome in A.D. 165, two men named Carpus and Papylus stood before the proconsul of Pergamum, charged with the crime of being Christians. Not even torture could make them deny Christ, so they were burned alive. Is my faithfulness as strong? In the fifth century, Melania the Younger and her husband, Pinian, distributed their enormous wealth to the poor and intentionally practiced the discipline of renunciation. Could living more simply deepen my trust in God? In the sixteen hundreds, Philipp Jakob Spener's love for the Word of God and his desire to help people apply the Bible to their life moved him to start 'Colleges of Piety,' or small groups. In what ways could commitment to community make me more like Christ? The history of the church has shaped what our faith and practice are like today. It's tempting to think that the way we do things now is best, but history also has much to teach us about what we've forgotten. 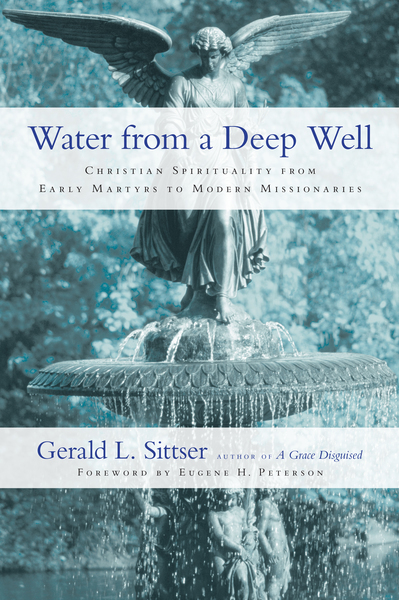 In Water from a Deep Well, Gerald Sittser opens to us the rich history of spirituality, letting us gaze at the practices and stories of believers from the past who had the same thirst for God that we do today. As we see their deep faith through his vibrant narratives, we may discover that old ways can bring new life to our own spirituality.